Creeny Holiday Cottages in Co Cavan, Ireland are located just ½ mile from the popular town of Belturbet with its many pubs and friendly atmosphere. These charming holiday cottages provide the perfect base for fishing, golfing or touring holidays in the beautiful lakeland countryside of Co Cavan. 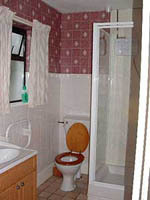 Each cottage has two bedrooms, (sleeping 4 to 5 people) and a bathroom with electric shower. The cottages are heated throughout and there is the added attraction of an open fire in the TV Lounge – a cosy way to end a busy day fishing or exploring the area. 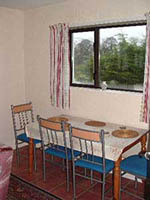 The kitchens are well equipped with a cooker, fridge and microwave. Car parking space is also provided. The region is popular with families and we want to make you feel at home during your stay. Family Pets are welcome to come along too. We also endeavour to provide suitable accommodation and facilities for fishermen with bait fridges and tackle stores also provided. For those who do not wish to cater for themselves, Bed & Breakfast rates are available. Creeny is also home to the Belcreeny Flock of Jacob Sheep, which is a small select flock bred from top British blood lines. Co Cavan is one of Ireland’s undiscovered gems with numerous lakes, green unspoilt countryside and a warm welcome guaranteed. We are sure you will enjoy your visit to this wonderful natural environment. 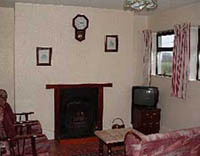 Please contact Creeny Holiday Cottages directly for rates and availability. From Dublin: follow the N3 through Navan and Cavan. Follow the main road into Belturbet, past the petrol station and supermarket on your right. When the main road turns sharp left, turn right, you will see the Marina on your left hand side. Creeny Holiday cottages are ½ mile along this road on your left hand side. From Belfast: follow M1 to junction 11, take M12 to Craigavon, then the A3 to Armagh, then the N54 to Monaghan and Clones. When you cross the border into Co Cavan, (the Leggakelly Pub is on your left), take the 1st turn to your right (approx 1 mile). 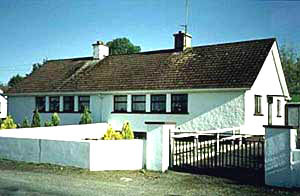 Creeny Holiday Cottages are approx 2½ miles along this road on the right, ½ mile before the town of Belturbet.